Our Danish family features all the finest ingredients, including generous amounts of European-style butter. 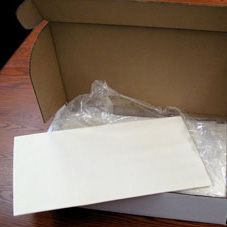 Each batch we produce is mixed and laminated with the greatest of care. Our 15 pound Danish bulk slabs are the perfect solution to helping your bakery become more efficient. 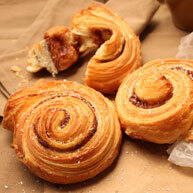 Simply thaw, roll out, and you're on your way to your own Danish creations. 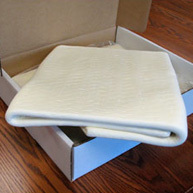 Our 10" x 15" Danish sheets are the perfect solution to helping your bakery become more efficient. Simply thaw, cut and create! You'll be on your way to your own Danish creations. 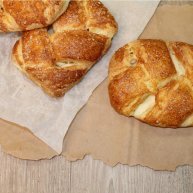 Buttery, tender, flaky Danish that is lined with a sugar and cinnamon blend make this an irresistible melt-in-your mouth pastry treat. Proof and bake. 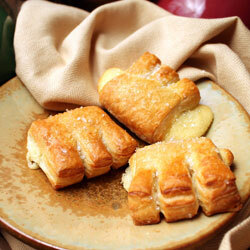 This latticed-topped Danish filled with all-natural cream cheese is a delightsome treat to the pastry palate. 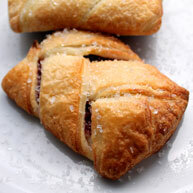 Here's a delightsome strudel prepared with a flaky, buttery, melt-in-your mouth Danish and infused with an all-natural cherry filling. 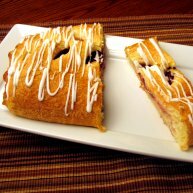 Family sized strudel with rich Danish dough that is melt-in-your mouth buttery tender on the inside and flaky on the outside�filled with all-natural raspberries and frangipane. Provides 10 delicious servings for any gathering. Proof and bake. Strudels are always an all-time favorite for pastry lovers. 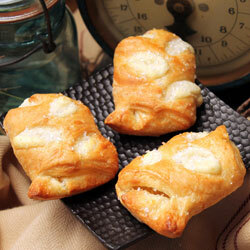 The Ready-to-Bake Mini Cheese Strudel is crafted from our tasty croissant dough and filled with a dollup of natural cream cheese. We proof 'em, you bake 'em...they're that easy to prepare..